Paralenz Dive is a purpose built underwater Action Camera for divers. With built in automated Depth Color Correction and rated for use at depths of up to 200m / 656ft, it records in both HD + 4K, provides depth and temperature overlays, with a battery life of +3hrs and can be attached to any existing POV Action Camera accessory with the included universal mounting unit. Get clean footage without fish-eye distortion! The perfect distance between the sensor, lens, and class gives you a clean and true image, Straight out of the camera. Catch every little detail in your dive with a larger image sensor, and an amazing ability to adapt from a light to a dark environment. - watch as Chase Johnson freedives into the swim through. Set the camera to auto-record, and it automatically starts the recording when you are below 1m/3ft, and stops 10 sec. after you resurface - so you do not get distracted. Record in 1080p 30 fps. for three and a half hours, or 4K 30 fps. for two hours and 15 minutes! That is enough battery to see most people through the diving day without a recharge. You can charge the camera in less than one hour, just connect it to a USB charger, power bank or similar. Action cameras are built to be used for anything from skiing to surfing, but diving is a one of a kind sport that places extreme demands on the gear used, both in terms of durability and usability. The Paralenz Dive Camera looks and feels like regular dive gear and is made from military grade aluminum and poly-carbonate - because we know what can happen! 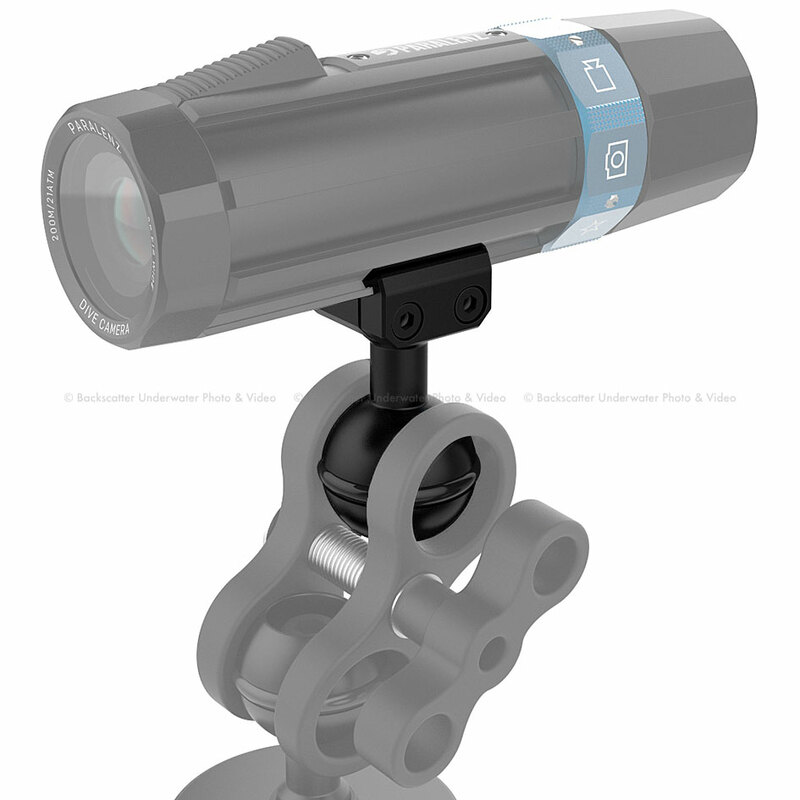 By applying the right design and materials we have eliminated the need for an extra housing - giving you a smaller camera with a lower weight No other camera is this small, hard-wearing and with a depth rating that suits cave and tech divers. It is always nice to know your diving gear has a safety factor, that is why you can record and log your dives all the way down to 200 m / 656 ft/ 21 ATM - over x4 the nearest competitor that also needs a plastic housing to protect it. Use the click-mount system for fast and easy mounting, this locks the camera safely in place with a click.You can easily mount and demount the camera even - with gloves on. Use the fixed-mount system for a lower profile fixed mounting that connects to ball mounts, tripod mounts and more. Making it possible to connect to virtually any other system. Everything is made to be as intuitive as possible to let you focus on your dive. With the design of a utility flashlight, it makes locating the buttons easy, and the shape is perfect for dealing with pressure and drag through the water. The simple interface lets you know what's happening at any time using vibrating haptic feedback, meaning you don't even need to look to see what setting you're using. Recordings made underwater are tinted green or blue unless you use a color filter. Color filters must manually be put in front of the camera at the right depth and changed as you go deeper to get the right results. Furthermore, a color filter absorbs light leaving you with darker and noisier recordings. Paralenz has digital color filters called DCC (Depth Color Correction) that corrects colors automatically according to the depth you are at - which is equivalent to changing a color filter every 10 cm. / 4 inches. The Paralenz camera starts logging data as soon as you get under water. When the dive is over you can transfer the logged data and footage to your phone. Our easy to use app generates a dive profile and places all your photos and recordings at the time and depth you took them. As you scroll through the dive, the pictures and videos are displayed. Your dive logs and recordings can easily be shared with your friends and dive buddies. The app also lets you control all settings of the camera and makes sure that the firmware is always up to date.